Yesterday was a beautiful day! 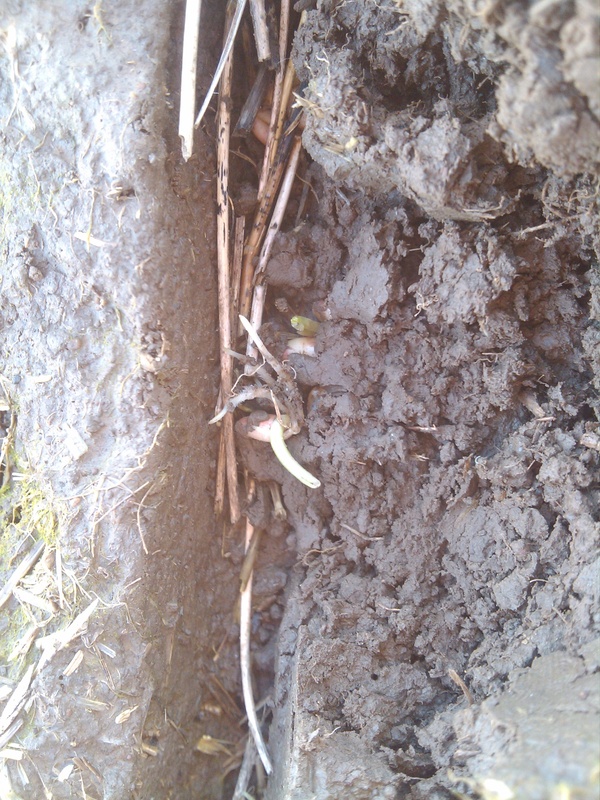 So I set out to check on our newly planted wheat fields and see how they were coming along. At this point, when they are newly planted slugs are their worst enemy! We not only plant with bait next to the seed, we also at times have to spread on top of the ground to help keep the population of hungry wheat seed eating machines to a minimum. 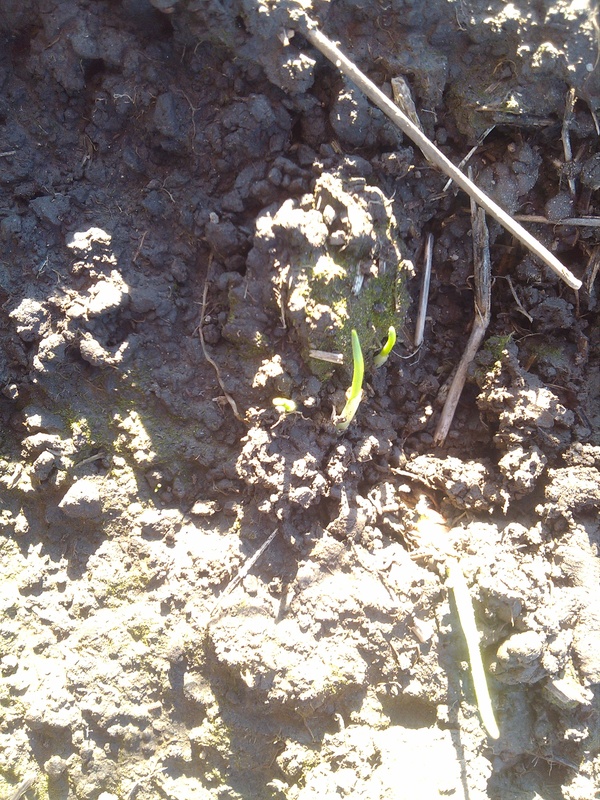 This is a wheat seed, in a furrow. 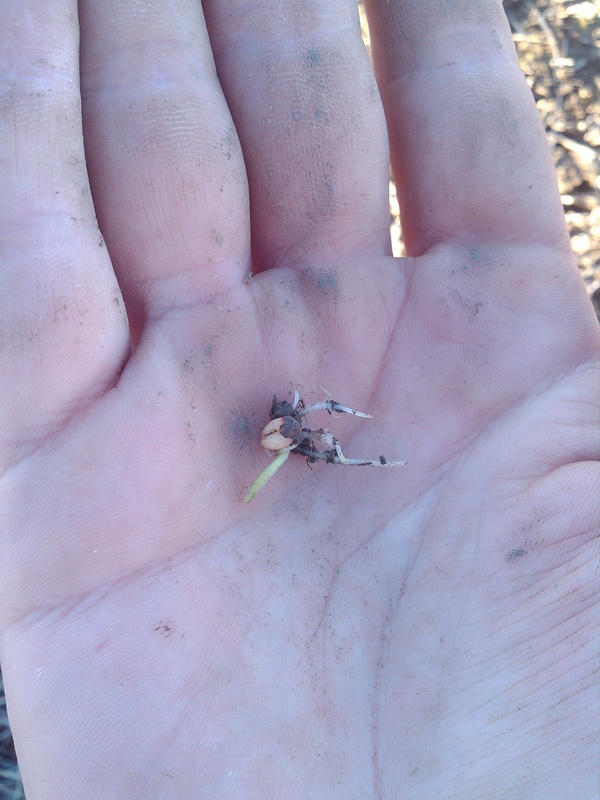 You can see the dead grass that is also in there, that is because we no-till planted this wheat in the ground. This little guy is growing fast! Finally I found one that made it through the dirt and is sprouting…and not a slug in sight! 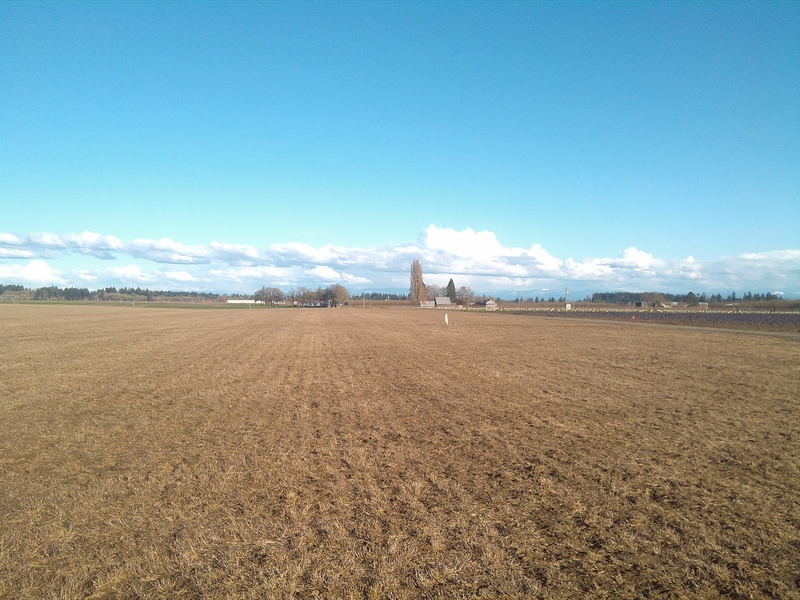 What a darn beautiful day to be outside walking fields!!! How exciting Brenda! Pretty cool!